Don’t know when I’ve felt so content and peaceful. Weaving on Rug #2, a combination of deep blue/grey print sheet and a deep rust red. In the background (thank you Best Buy for new speakers!) I have music playing – of course it’s Nama Orchestra’s Best, a compilation of their folk dance music. Brings back pleasant memories of folk dancing with the village friends! 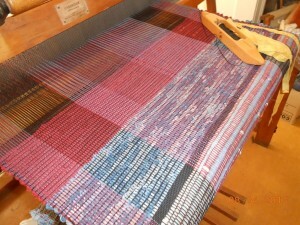 Here’s the rug with the first two stripes finished. Have to call it quits for today – the light is fading and it’s best to weave with natural daylight. Friends, I’m destashing all that fabric that’s been in my closet for the longest time. 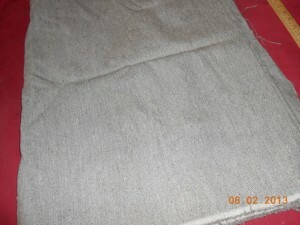 All fabrics are from nonsmoking home. 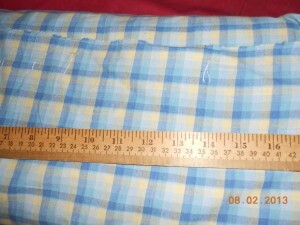 I acquired them with the intention of making clothing for me and my kids when we were active in Civil War reenacting. Please email me (anitam48@gmail.com) with a number corresponding to the piece you’re interested in, and where you are. I will weigh for shipping and send you a PayPal invoice. Alternatively, if you live in the Dallas area, I am willing to meet you within a 40 miles radius and deliver. Individually, the pieces would cost $283.50. However, if you take the lot, the cost is $200 plus shipping. This is a piece of a special order woven for Confederate impression. It could make a pair of pants for a young man who wants to look like his dad. 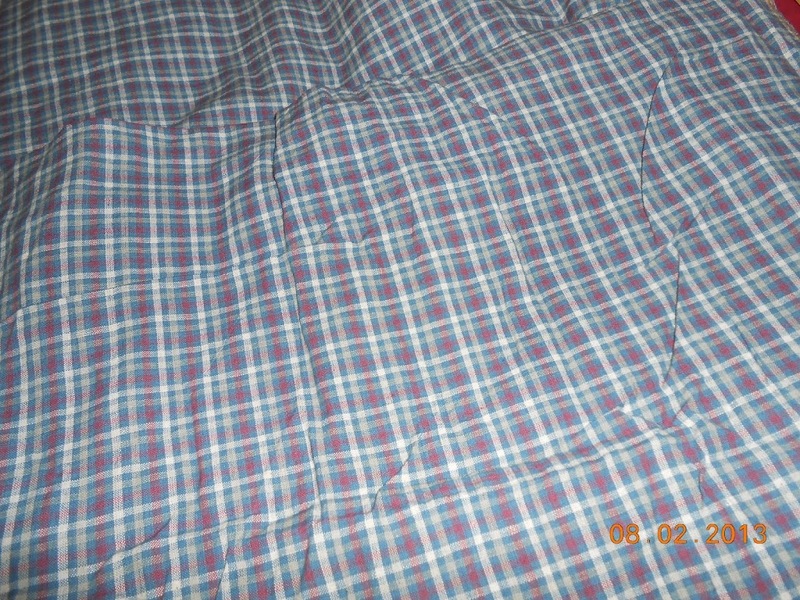 #3 is a lightweight cotton plaid – dark red, cream and blue. 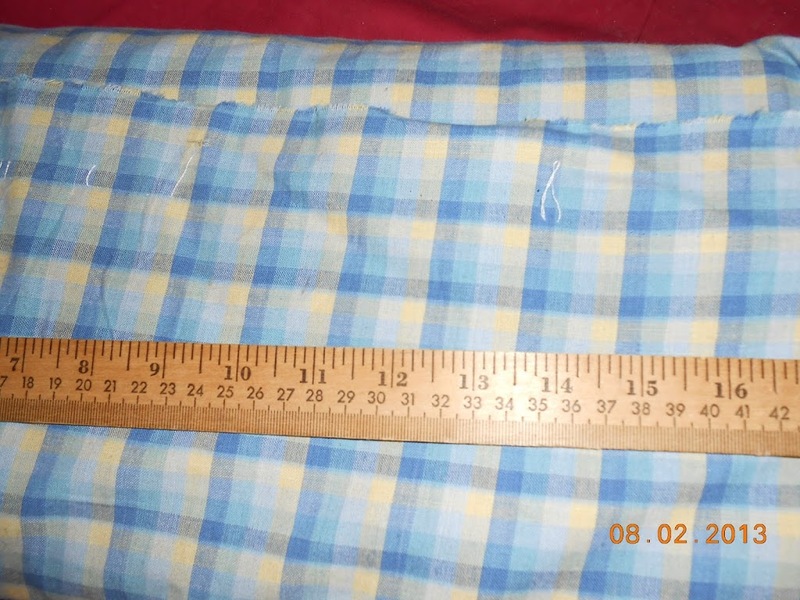 It was going to be a summer-weight dress. 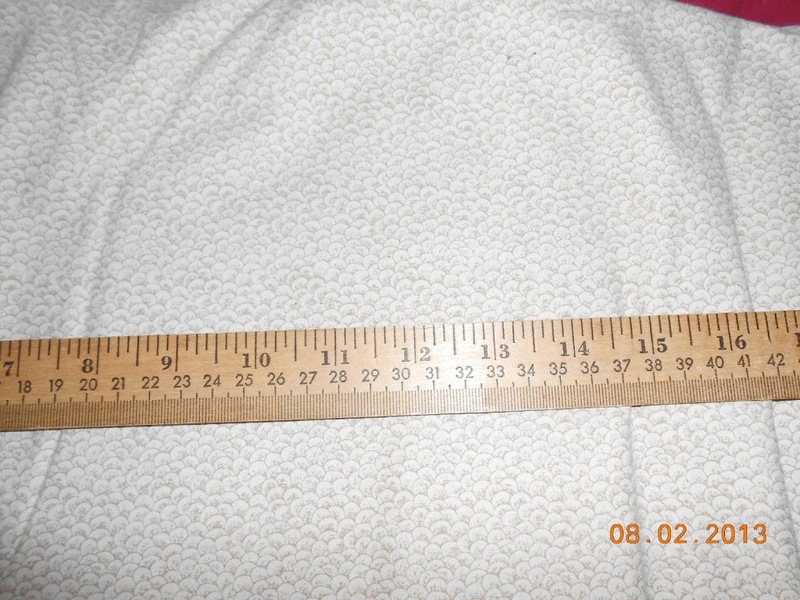 It’s 45″ wide, and there are just over 6 yds. I’m asking $2/yd so that’s $13 for the piece. 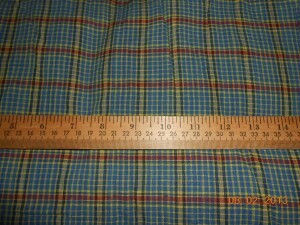 #4 is another plaid – a green and cream cotton, 42″ wide, and there’s about 9 yds in the piece. This was another dress – probably for my older daughter who looks so good in greens! 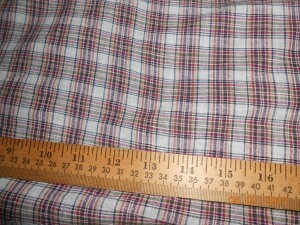 #5 is a lightweight cotton plaid, with red, black, gold and white. The piece measures 6.5 yds of 45″ fabric. 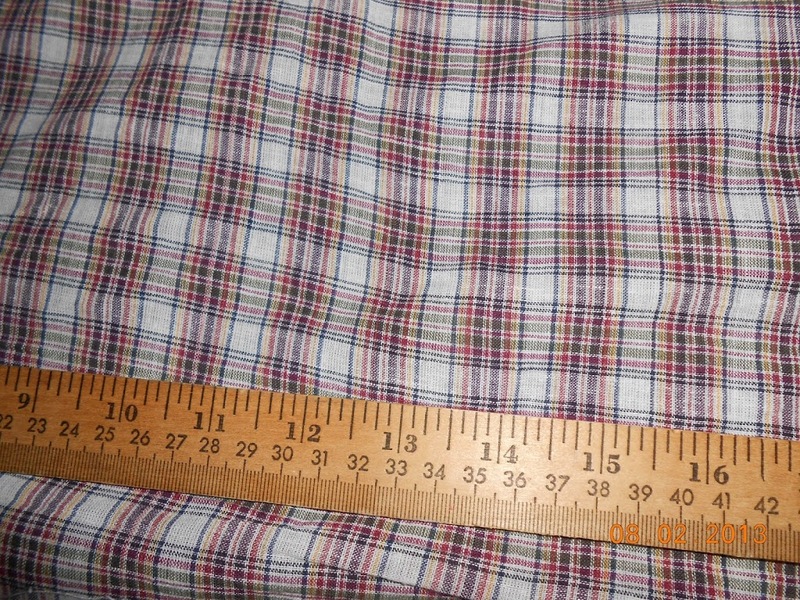 At $2/yd that’s $13. 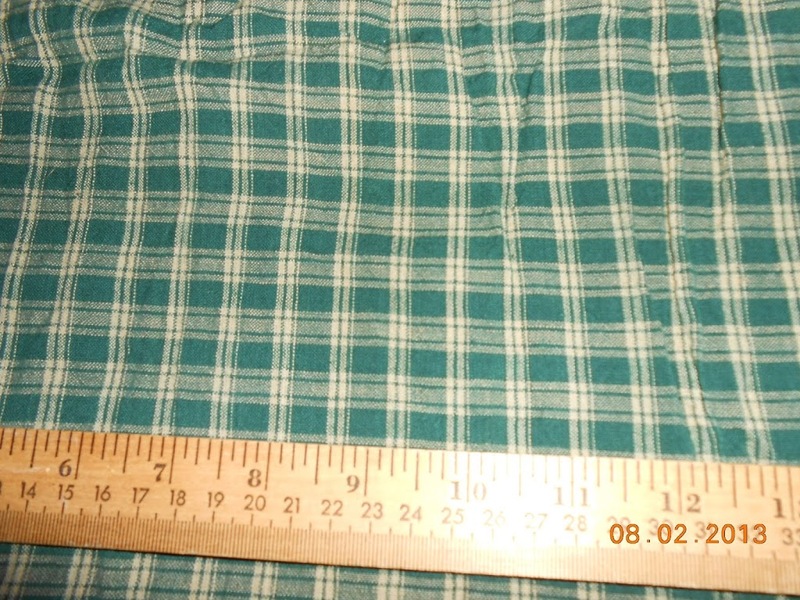 #6 is a cotton plaid of green, blue, cream and dark red. 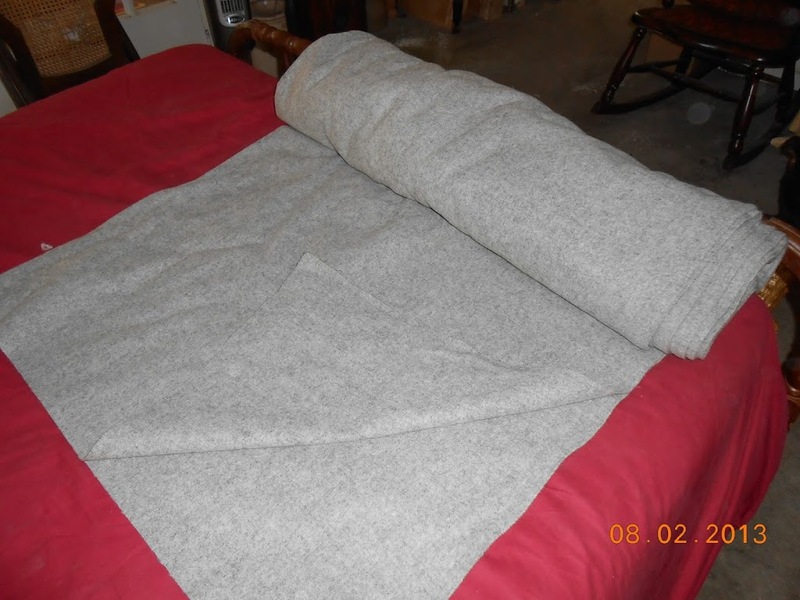 It’s 45″ and measures 8 yds; at $2/yd it would be $16. 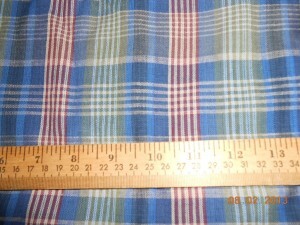 #8 is a cotton plaid of blue and cream with a dark red accent. 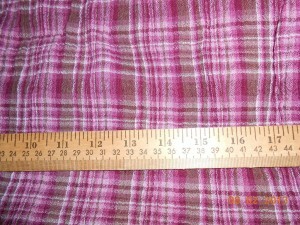 It is 42″ wide and consists of two pieces: One is 6 1/3 yds and the other is 1 yd. 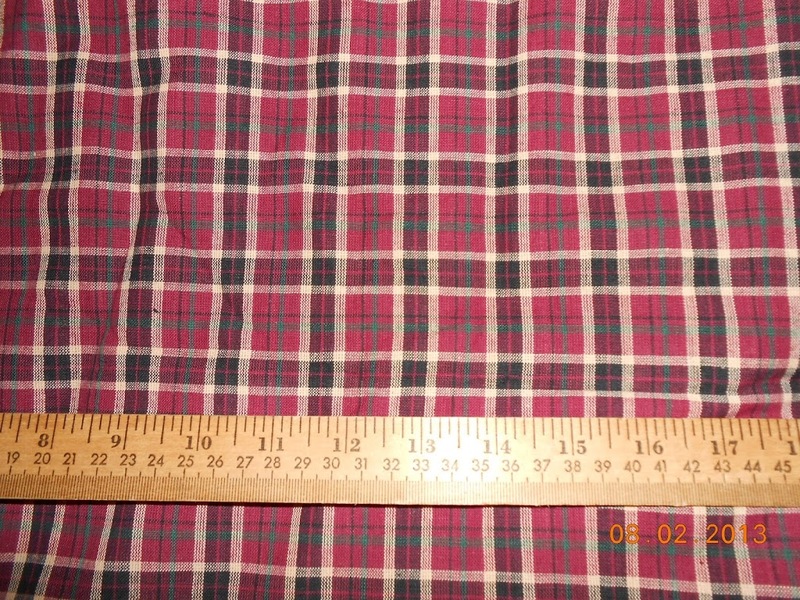 At $2/yd, I’ll say $14.50. 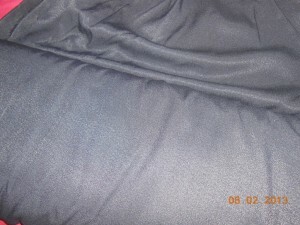 #12 is a black crepe-type fabric. It’d thought about making a mourning dress of it, because it drapes so well. The content is undetermined. 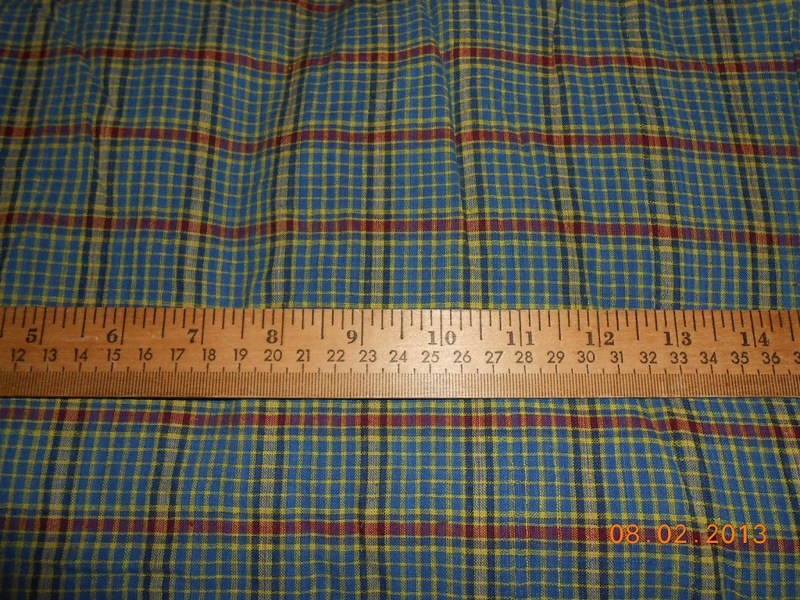 It’s 60″ wide and there are 11 yds in the piece. 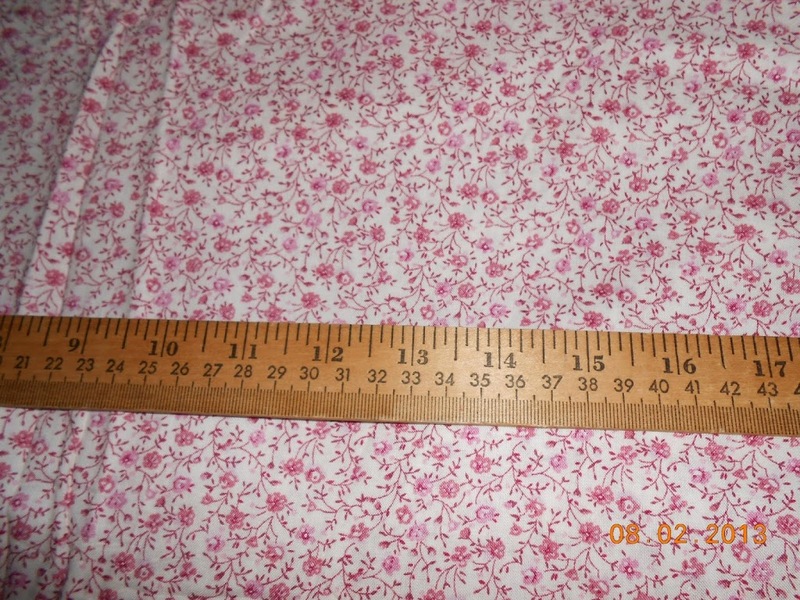 At $3/yd so it would be $33 for the piece. 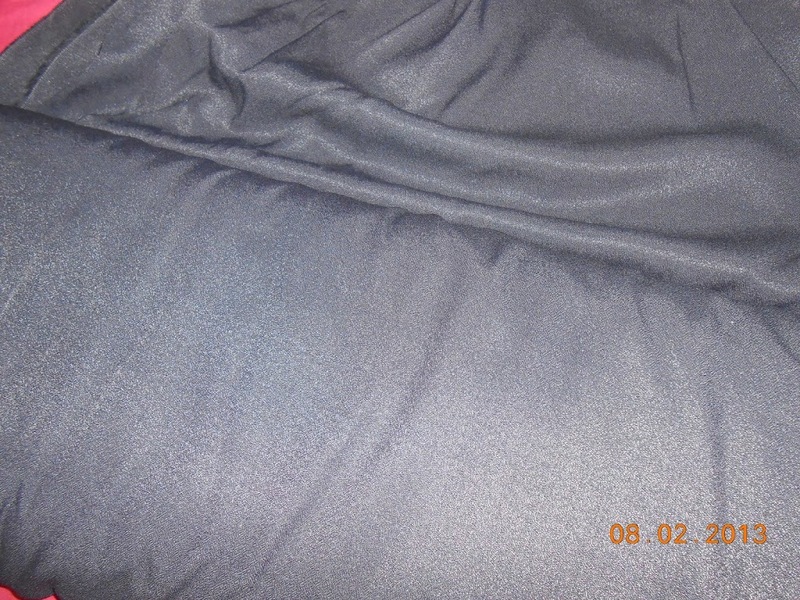 Sorry – the camera shows it as grey, but it is pure black – it must be the texture that is causing the reflection. 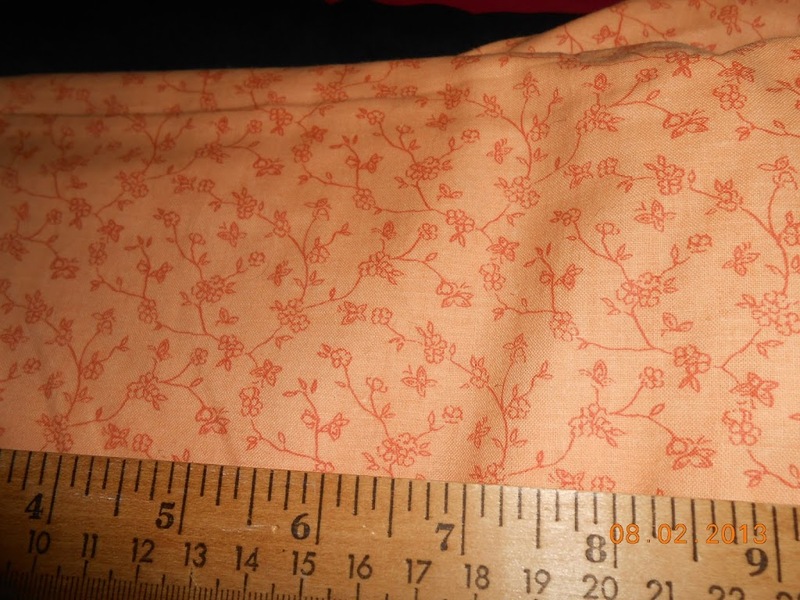 #13 is a lovely orange floral cotton. 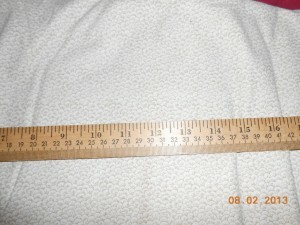 It is 45″ wide and a little over 7.5 yds. @$2/yd, that’s $15. 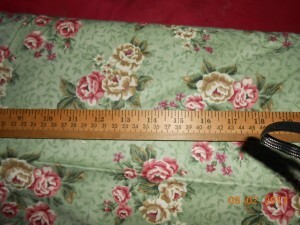 #14 is a small dark red floral on lighter red. It’s scrumptious. 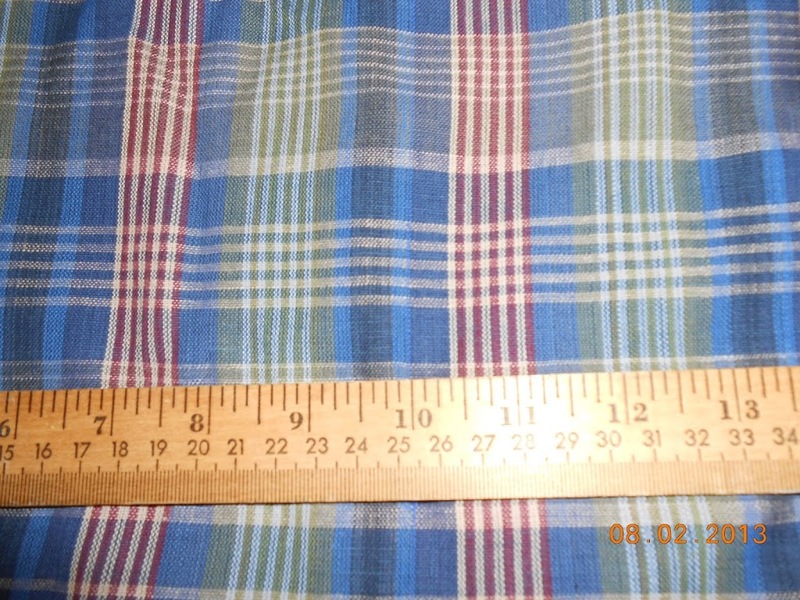 Cotton, 42″ wide. There are 4 yds, so that would be $8. 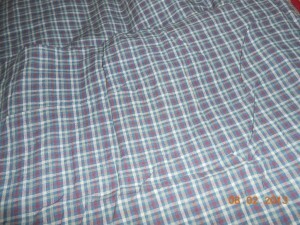 #15 is a light cotton plaid with purplish red as the dominant color. 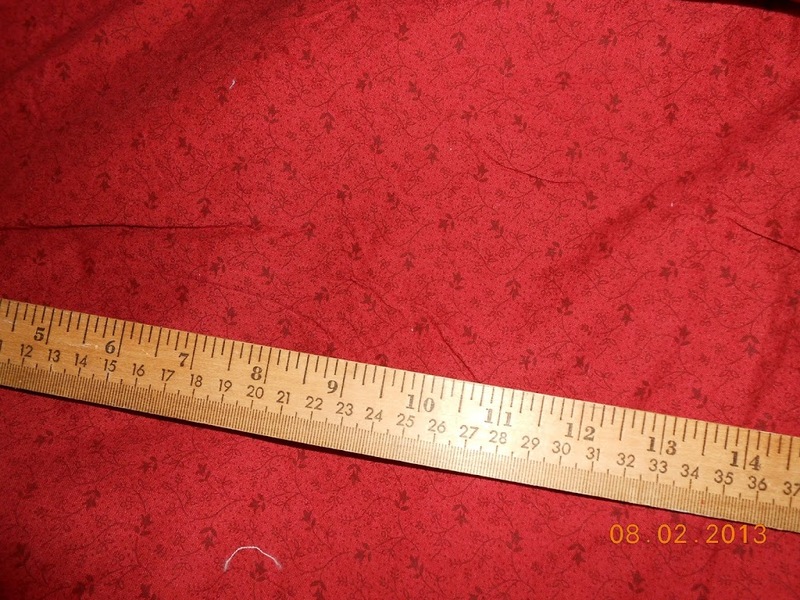 It’s 36″ wide and there are just over 5 yds in the piece. 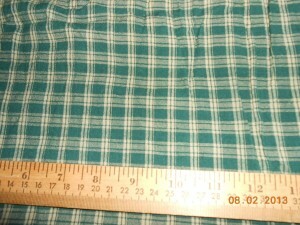 I’ll only as $1.50/yd for this one. That’s $7.50 for the piece. 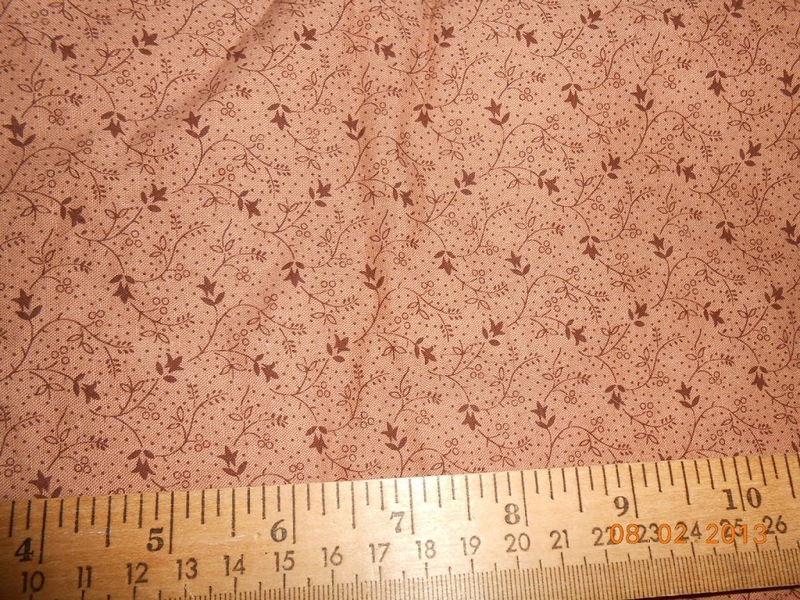 #16 is a small tan print cotton. Very subtle and lovely. 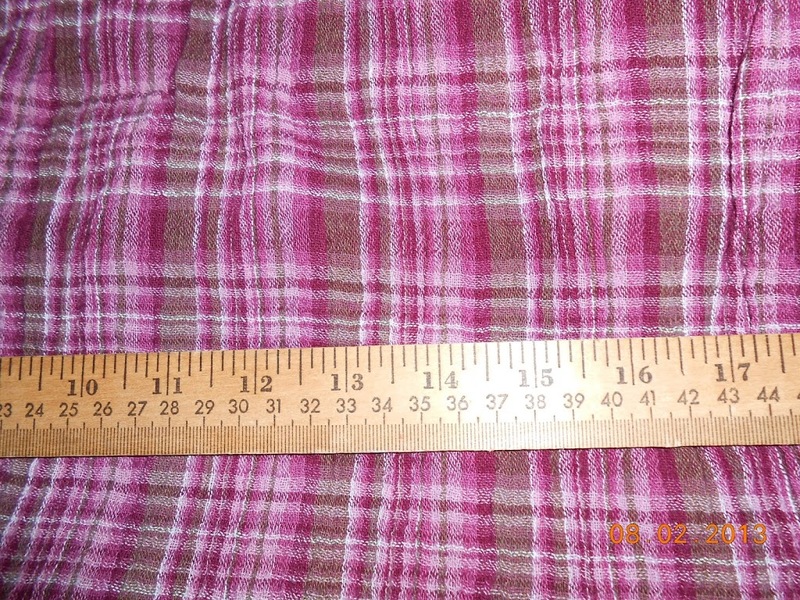 It’s 44″ wide, and 7.5 yds long. 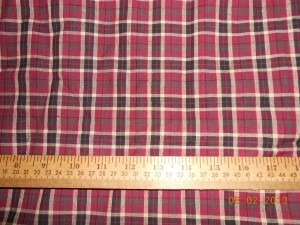 At $2/yd that’s $15. Well, it looks more white – sorry – the tan just didn’t show up well. 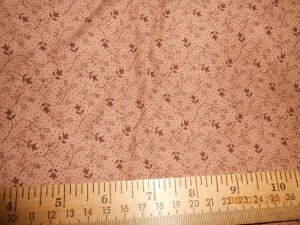 $17 is a brown on brown small floral cotton, 42″ wide. 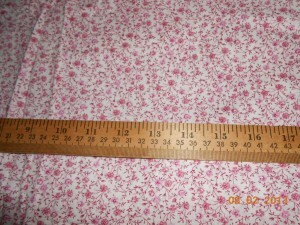 It’s 8 yds long so at $2/yd that’s $16. There! That’s the lot out of that closet! Again, let me know what you’re interested in (email to anitam48@gmail.com) and I’ll weigh it for shipping costs and send you a PayPal invoice. Or you could pick it up in Dallas. If you buy the lot or several pieces, I could even be persuaded to meet you within a 40 miles radius of Dallas. 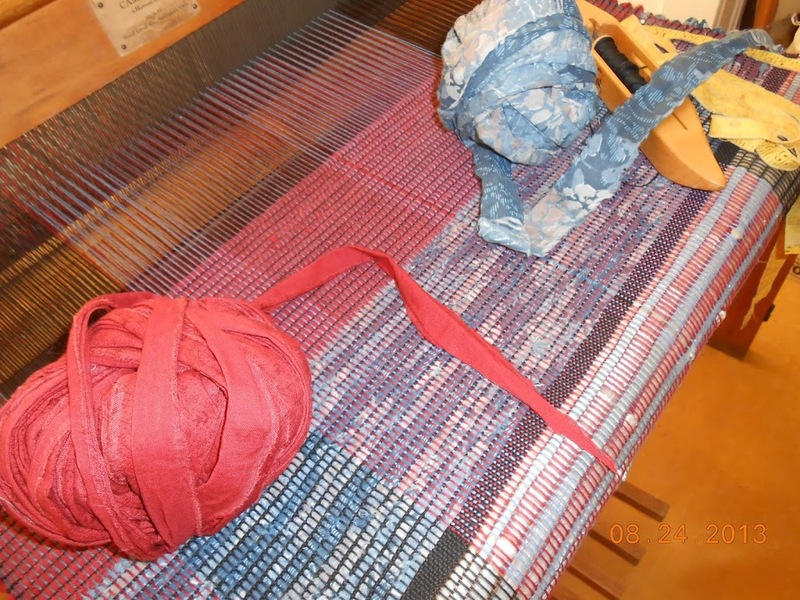 It felt so good today to actually begin weaving again. 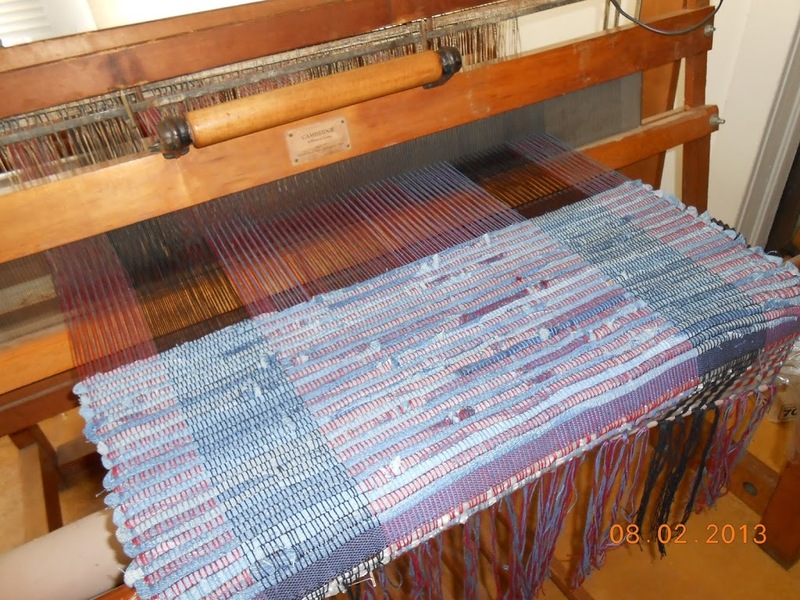 I fired up the old Reed Cambridge rug loom, taking a while to get the warp on and thread it all up. But now I’ve started a denim rug and it feels so good – weaving is so tactile. And it’s zen…just the next throw of the shuttle, working to keep selvedges even, making sure no threading errors creep in. It’s total focus. 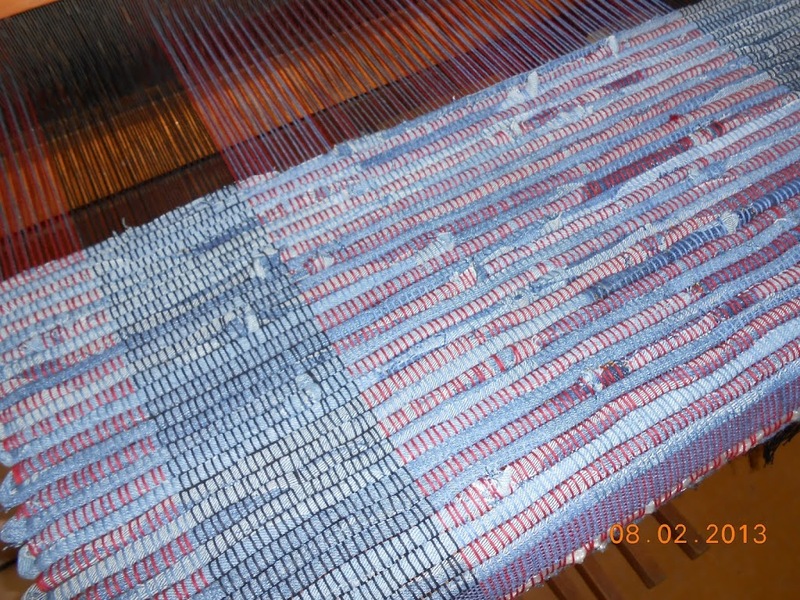 Now I need to prepare more denim strips for the next round. Here’s a picture of what I did this morning. Posted in denim rug, rag rug, weaving.